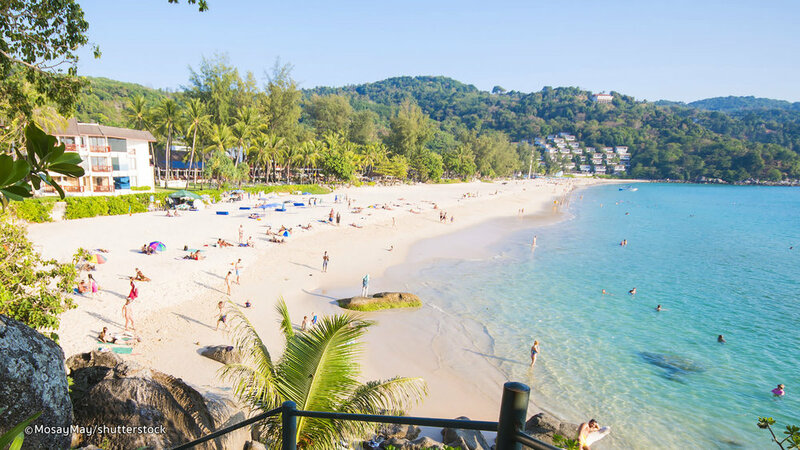 Kata Noi is the best beach on the island of Phuket and is lined with gorgeous hotels and amazing restaurants. The rocky headlands on either side of the beach offer great snorkeling while the rest of the beach is rock-free. Pink sand! Need I say more? Climb down the cliffs to your own private pink sand beach for a romantic beach escape. Added bonus: Bermuda is only 2 hours from New York City! Everyone associates Bora Bora with luxurious over-the-water bungalows, but Bora Bora has one of the best beaches in the world! This amazing stretch of beach is pretty much perfect. The views of this beach only improve as you make your way from the beautiful cliffs to the turquoise water. All the hidden beaches along Portugal’s Algavre Coast are gorgeous! This black sand beach is located 25 kilometers north of Auckland. The ancient Lion Rock right in the middle of the beach and the green hills surrounding the beach give the beach an other-worldly vibe. Ready to being planning your travel, contact me here!